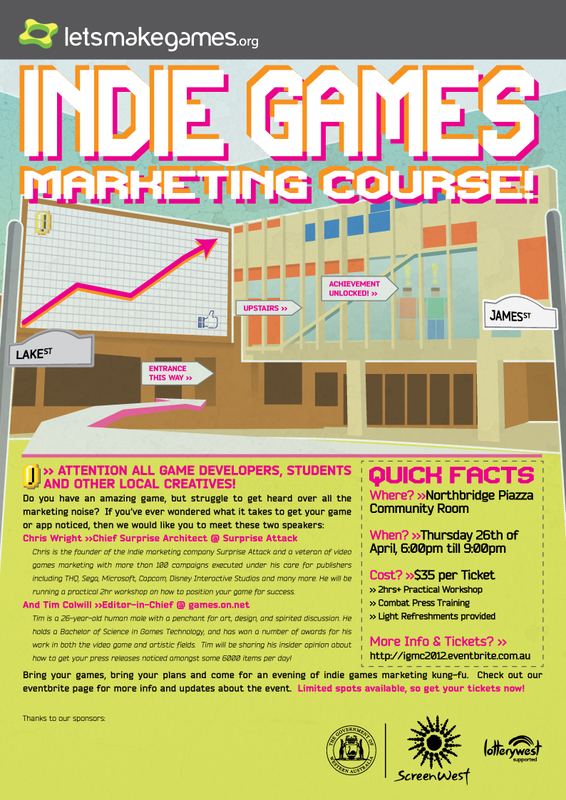 There’s only one week left to go before our Indie Games Marketing Course kicks off and it’s not too late to get a ticket! Just as a reminder, the workshop is being held on Thursday 26th April at the Piazza Community Building (that’s the building right behind that awesome big screen at the Northbridge Piazza) from 6pm till 9pm. That’s $35 dollars + Booking Fee for 2Hrs+ of marketing workshop and all the best tips to get your PR releases noticed. All of this brought to you by our two amazing speakers. Tickets available in the widget below, or directly from Eventbrite!